Look what my sister got!!!? Wedding cake practice #2 happened this weekend. It was a family friend’s birthday. She was having a winter ice skating party. 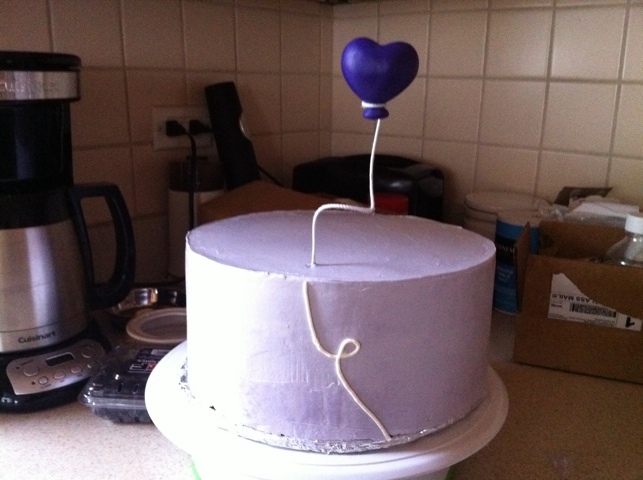 I decided to give the purple hue of the frosting for the wedding cake a try. 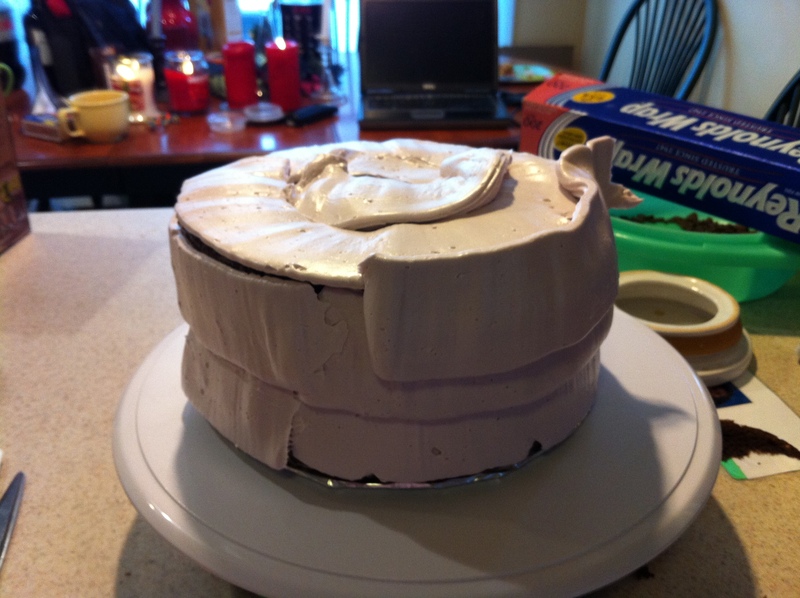 Chose chocolate cake for the girl and used the Swiss Meringue recipe given by baker friend. 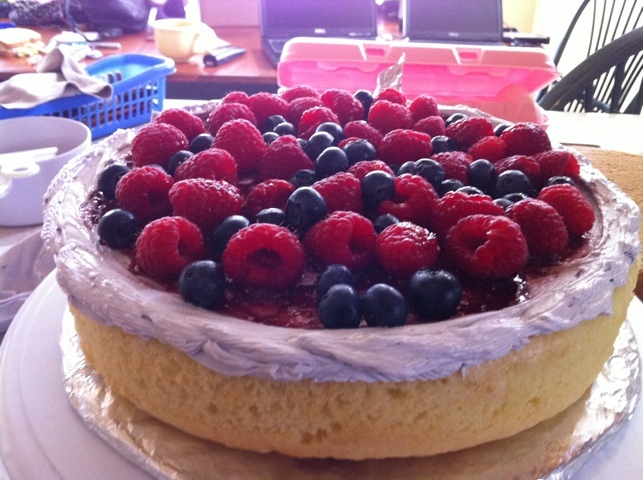 The cake itself seemed to bake a little unevenly this time around with more burning on the edges. I saw a remedy for this online and a family member offered to donate some of her baking tools to the cause. 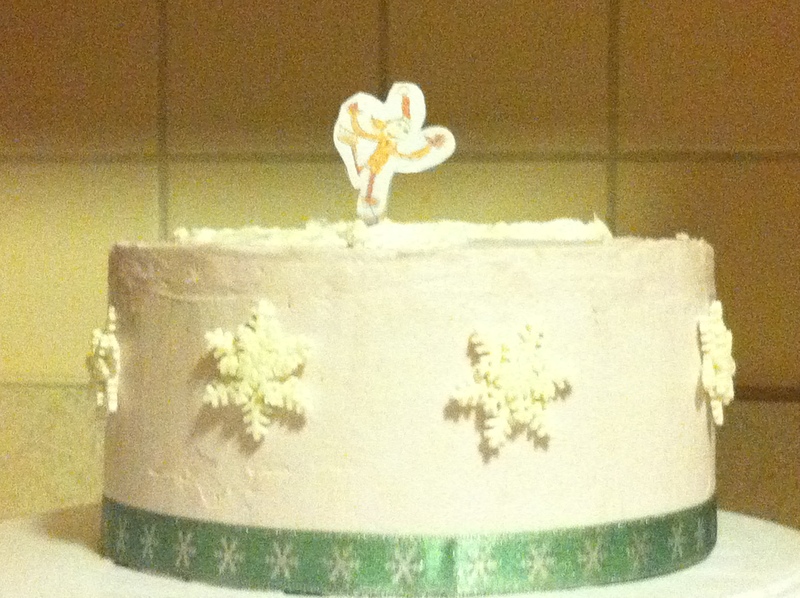 Apparently she has something that helps the cake bake evenly. 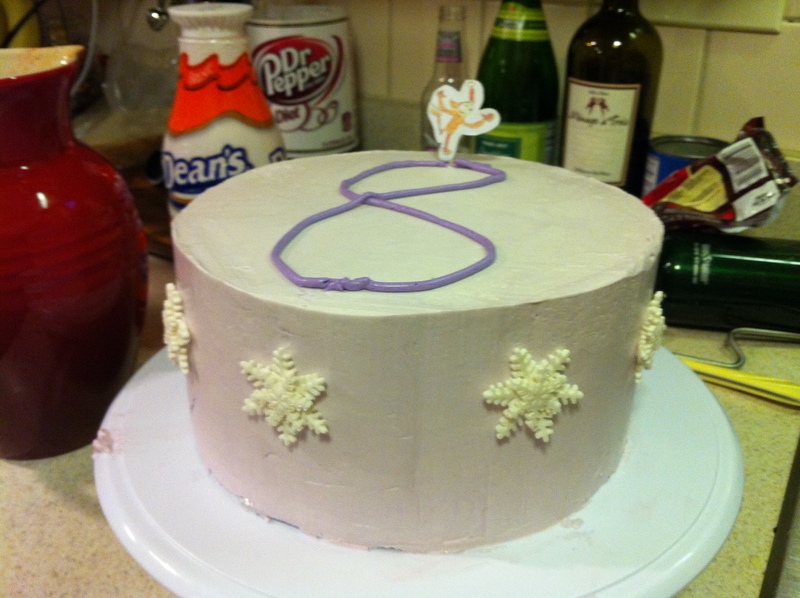 The frosting turned out better than even the first time. 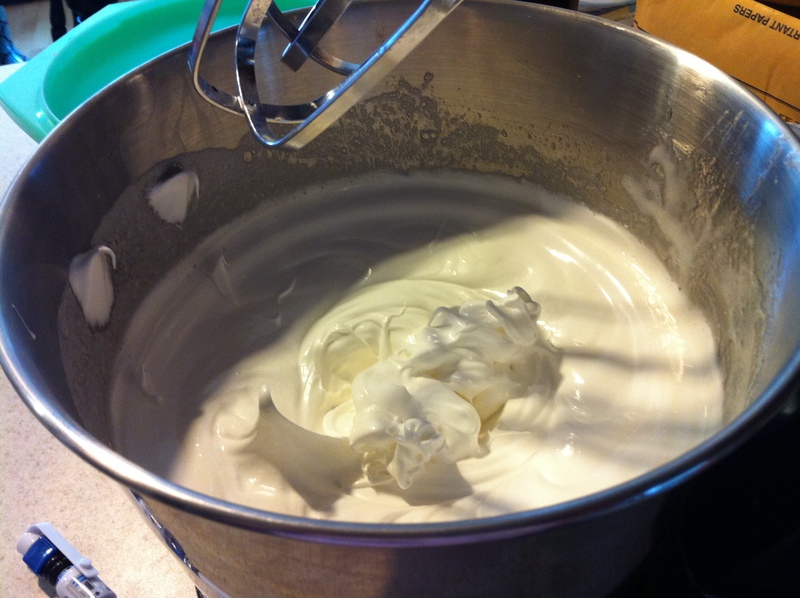 I had my newly purchased whisk attachment for the mixer which helped a great deal. I also found a weight to volume conversion chart to help with ¼ or ½ ing a recipe. 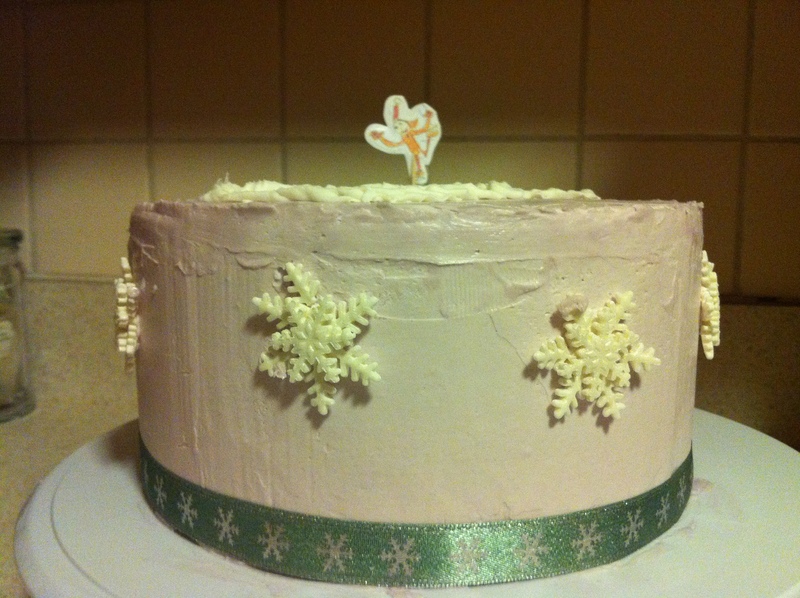 I also bought some beautiful snowflakes for the cake on etsy. 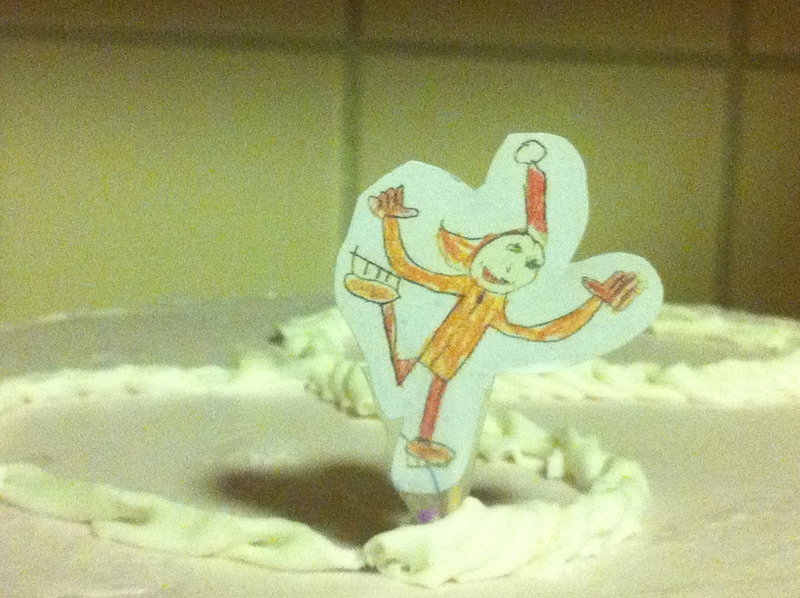 Once finished with the cake, I went to a party and when I returned, I learned that a cat in my house ate the number 8 off of the top of the cake. 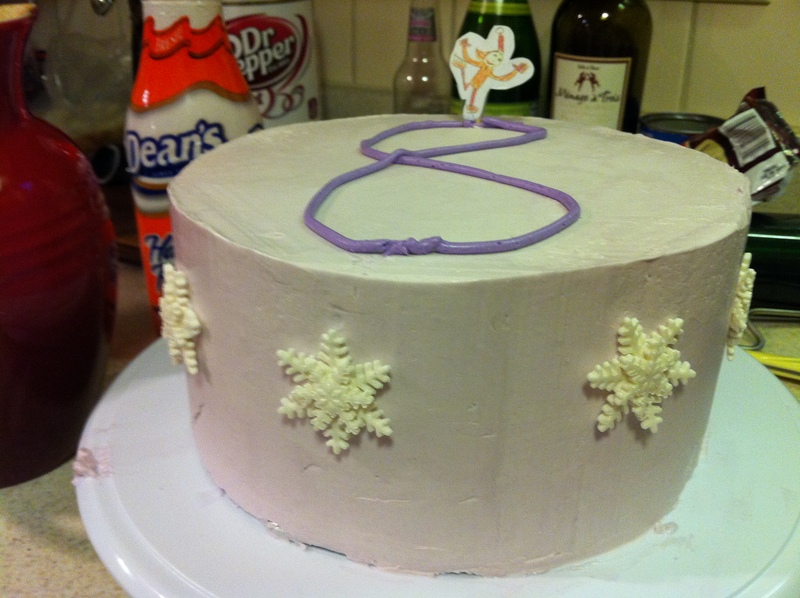 So, I had to take off the top layer of the frosting and come up with an alternative. The alternative wasn’t as beautiful as the original, but it worked. 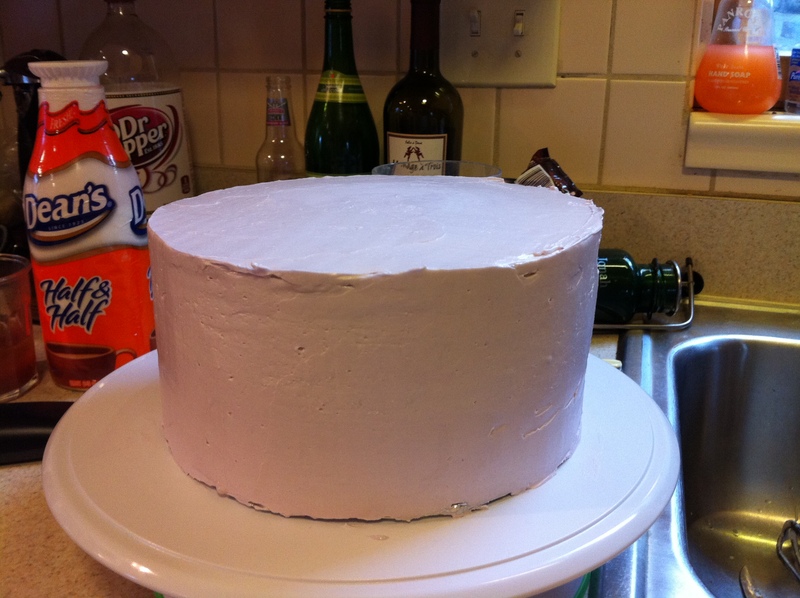 I just didn’t have the stamina to even out that buttercream to a smooth surface again. But, I was able to make something that at least made a smiling 8 year old happy. There The little ice skating girl is actually a drawing by the birthday girl!